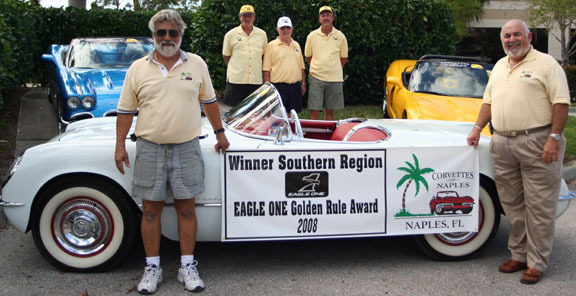 A grand prize winner, selected for the first time in the 15 years that Eagle One has conducted the award program, was the Cruisin' the Boulevard car club. 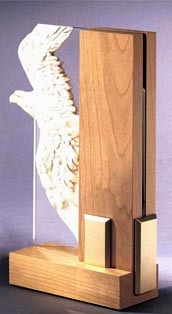 The club was selected for the most compassionate achievement. The club donated life-saving devices called Automated External Defibrillators for 21 police cars in their city as well as for three local high schools and the City Hall. The AEDs are portable electronic devices that automatically diagnose emergencies that can cause cardiac arrest and sudden death. In recognition of their achievement, Eagle One will make a donation of $1,500 to a favorite charity. "Eagle One has been proud to recognize and reward car clubs for the outstanding work they perform in their communities while actively engaged in the preservation of one of our country's greatest heritages, the automobile," said Lorna Willis, brand marketing manager for Eagle One. Eagle One is a member of the Valvoline family of brands and this year is celebrating its 30th anniversary. From its beginning, Eagle One has been one of the car-care products industry's leading brands and developers of products designed to make car care faster and easier with great results.